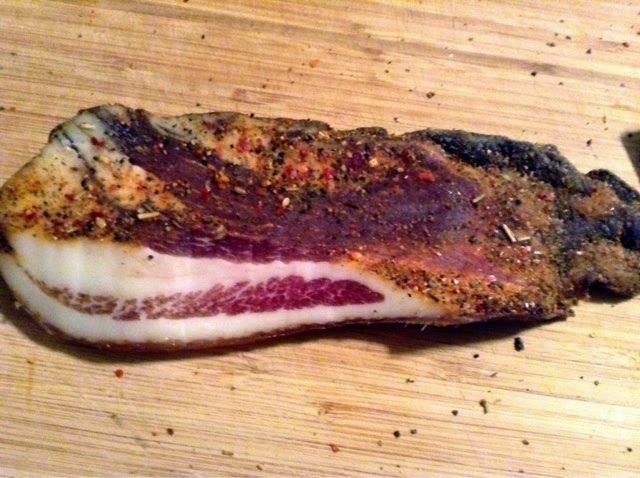 Oh how proud I am of this tasty cured pork face. 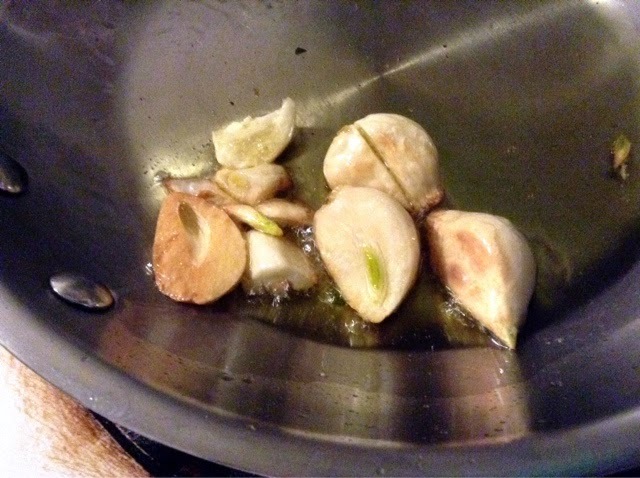 It didn't take much skill. Just time. 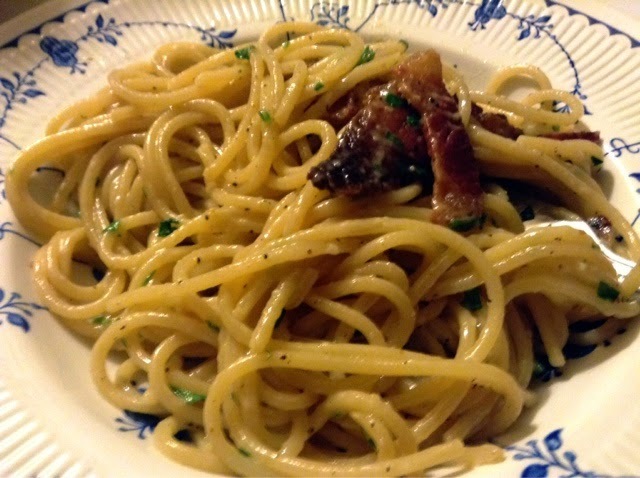 It made a perfect base for a platter of spaghetti carbonara a la Marcella Hazan. 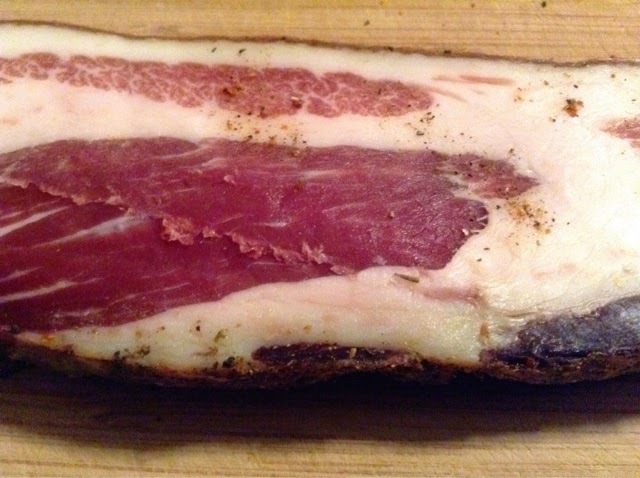 It provides a depth of pork flavor that pancetta does not reach. 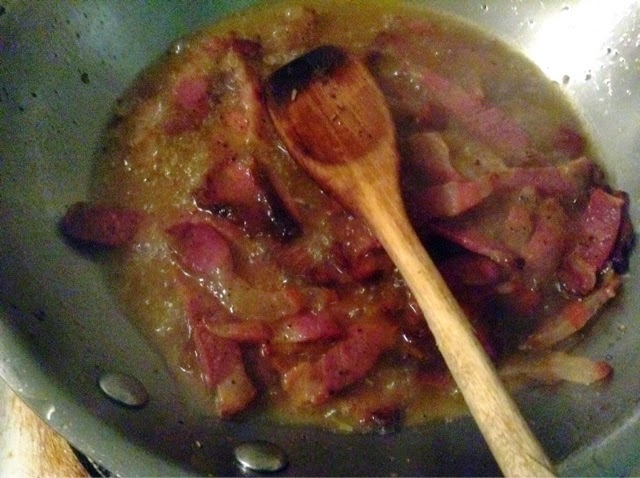 Garlic oil, white wine and pig face.